The press brake PB series 450 has a bending force of 450 tons, for bending mild steel, aluminum and stainless steel. 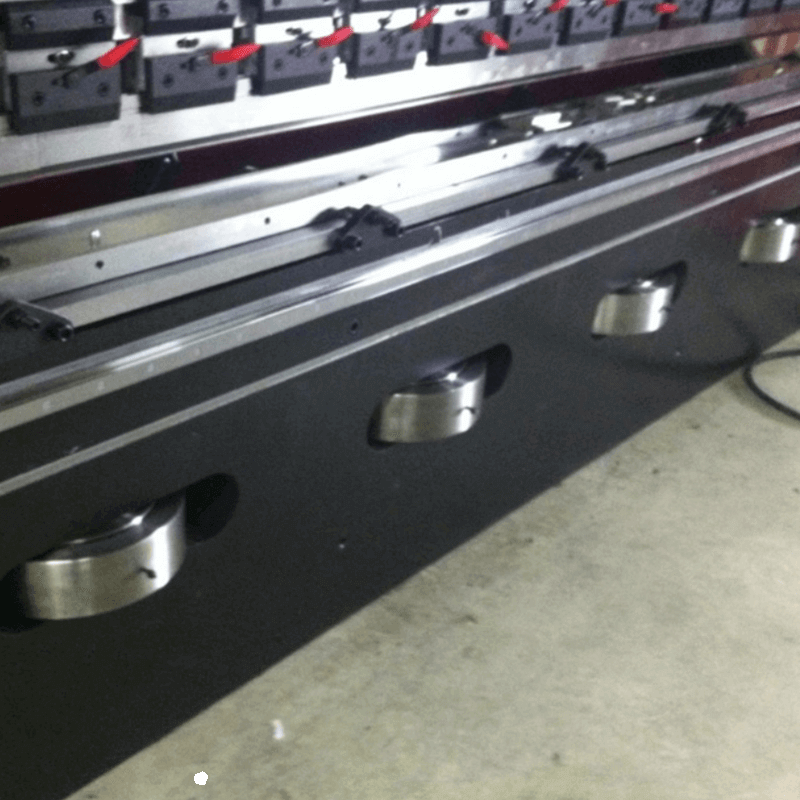 The bending length is 13 to 16 feet or custom length, depending on the model. 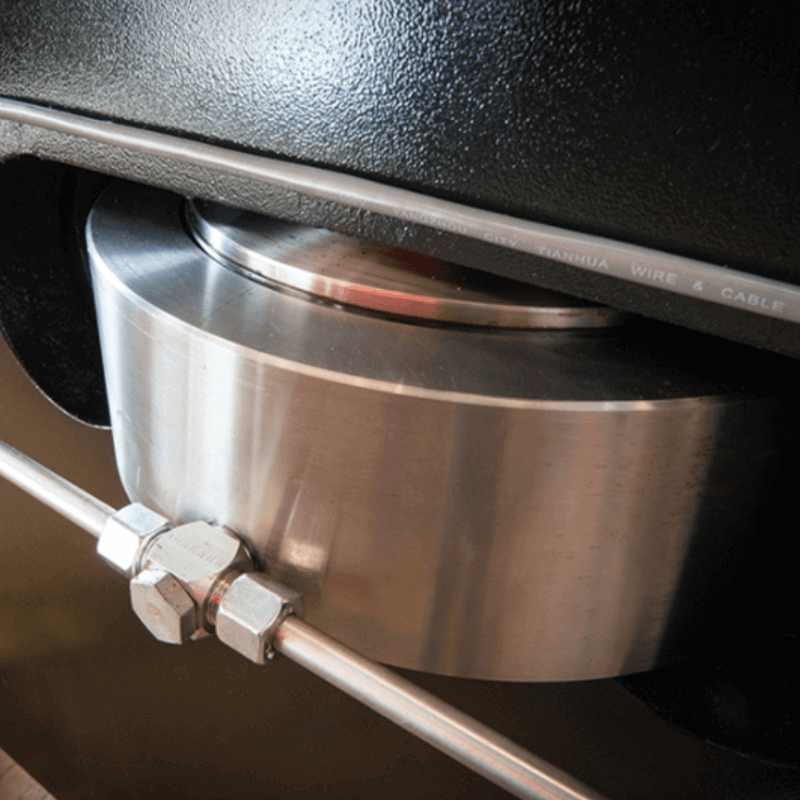 The motor provides good bending power. 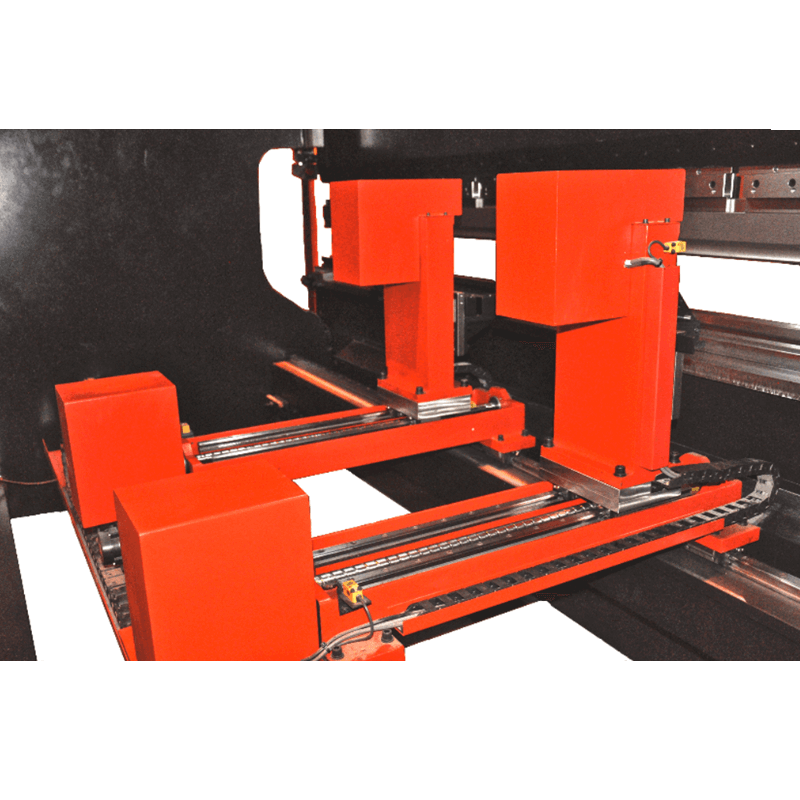 The multi-functional backgauge can be extended to 6 axis. 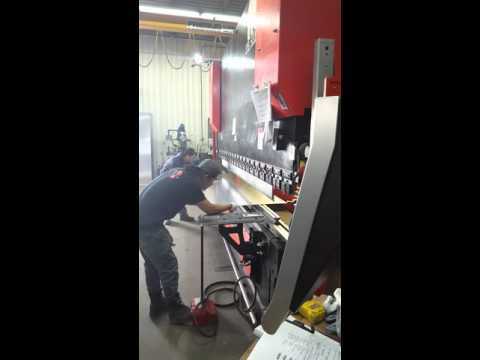 The steel sheet can be bent at any angle. 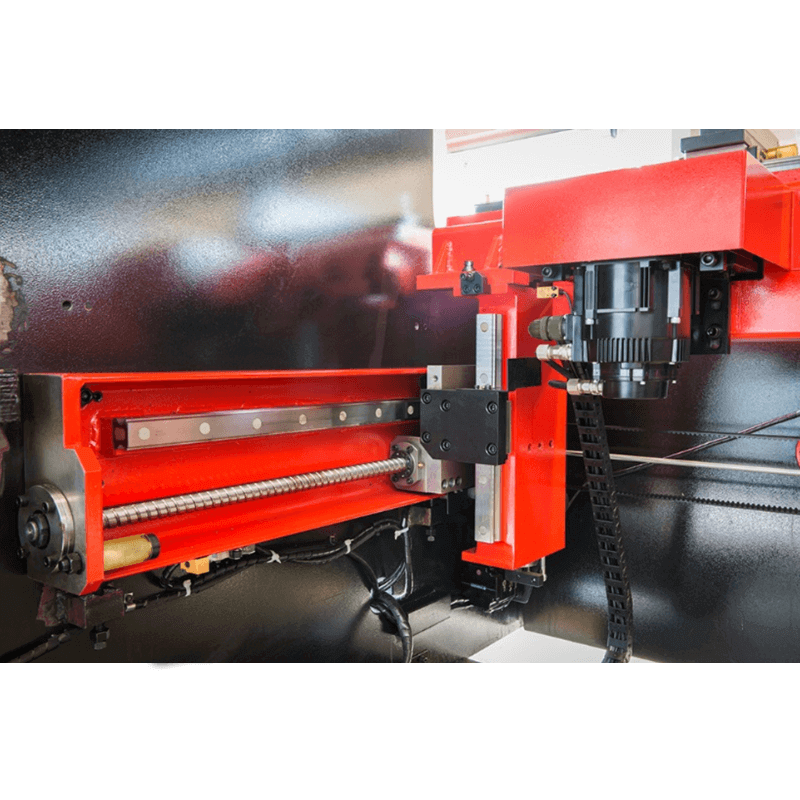 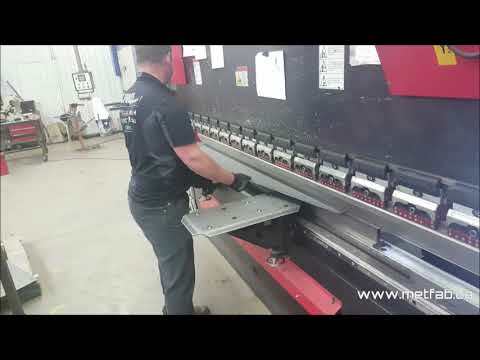 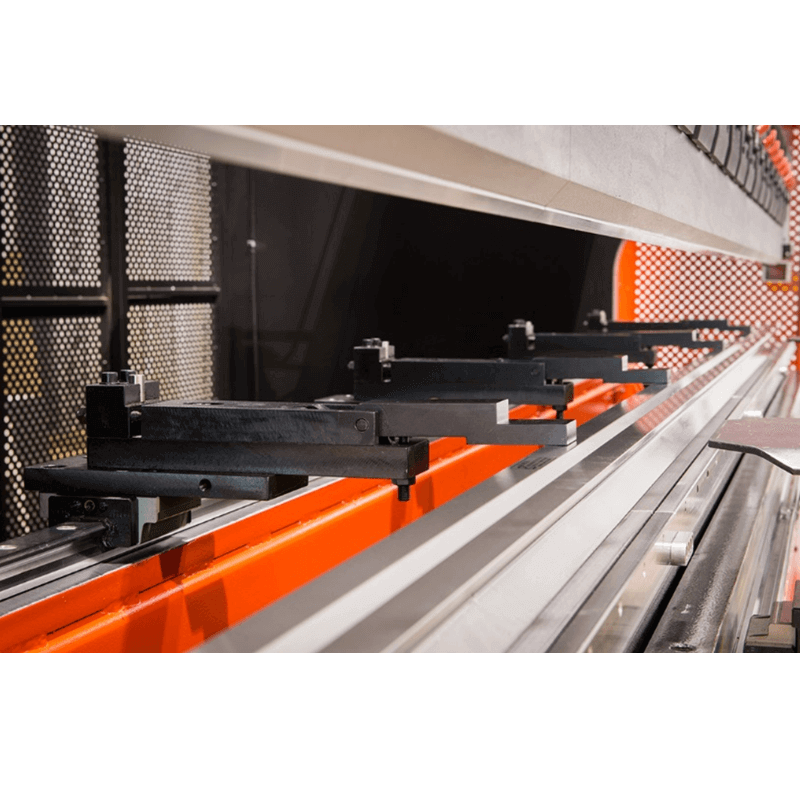 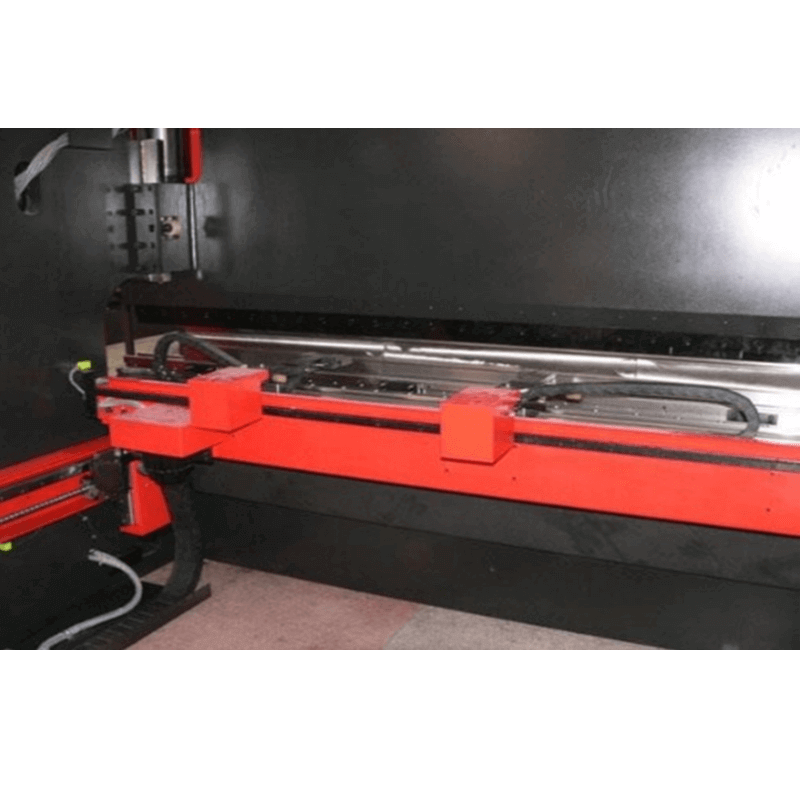 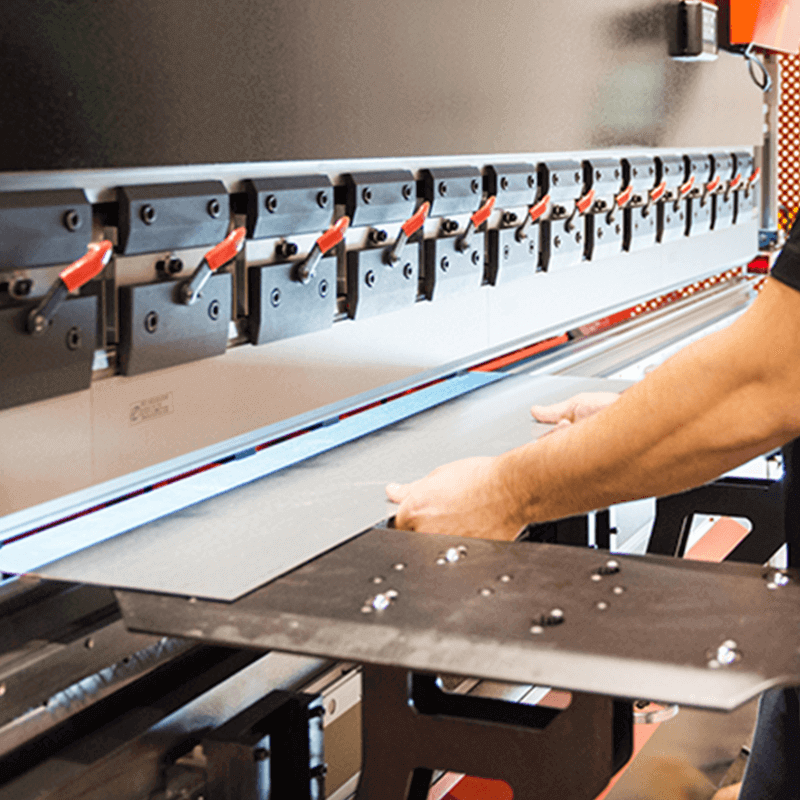 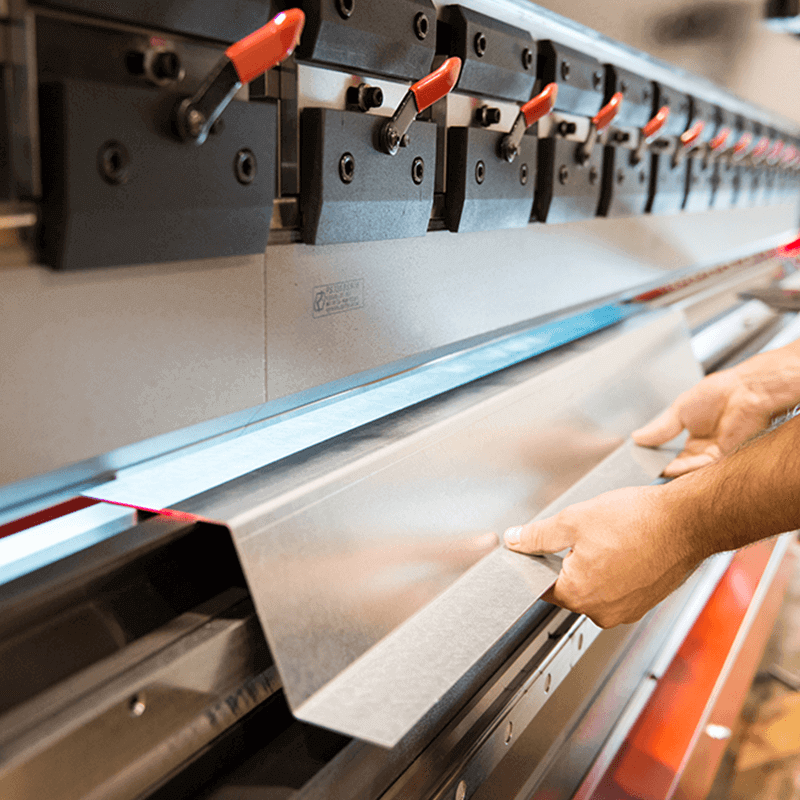 This press brake, assembled in Canada, uses an electrical and hydraulic system that controls the synchronized movement of the two oil cylinders, thus ensures the high synchronized accuracy, bending accuracy and repeat positioning accuracy. 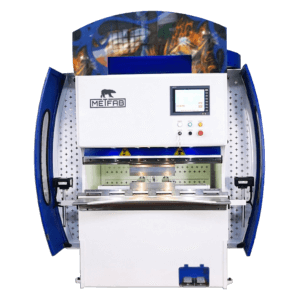 The PB series press brakes are equipped with a hydraulic compensation mechanism which helps to prevent deformation of the deck and does not affect the quality of the part. 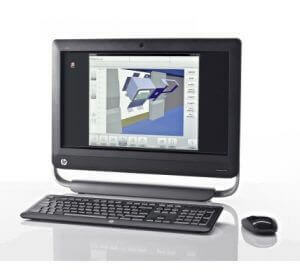 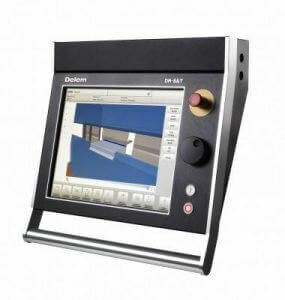 The compensation is automatically adjusted by the CNC system which is practical and accurate. 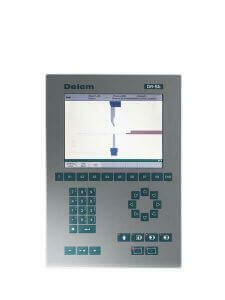 The basic CNC is the Delem DA56 but you can choose another controller. 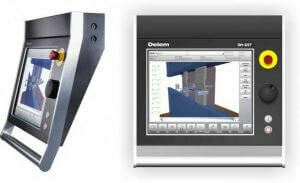 You also can add a laser safe and the bending software Randbend. 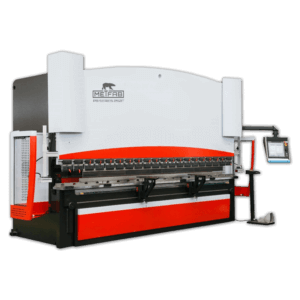 This press brake is equipped with 3 axis and can be extended to 9 axis.